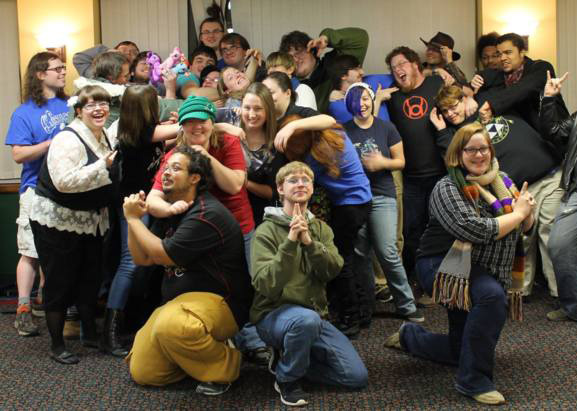 The Indiana State University Role Player's Guild is hosting its sixth annual ISU-Con Sept. 9-10 to give students a space to have unadulterated fun. Every year for the past six years, ISU-Con has attracted more than 300 experienced gamers and rookies alike to participate in role-playing activities, tabletop games, cosplay contests, raffles and more. The two-day convention will take place 6 p.m.-11 p.m. Friday, Sept. 9 and 11 a.m.-11 p.m. Saturday, Sept. 10 in the Indiana State arena and is free and open to public. "This event was formed to get the gamers out of their rooms and find people with similar interests," said Michael Burd, president of the Role Player's Guild. "For those who have never played these kinds of games before, this is a great way to find out how you can nerd out." The Role Player's Guild is an organization focused on role-playing games that aims to create a place for so-called gamers, nerds and geeks of any and every sort to gather, play and socialize. The organization also works to debunk stereotypes and rumors that have marginalized the role-playing community - one stereotype being their lack of community involvement. "Each year we partner with a local nonprofit charity," Burd said. "This year we will be donating all of the proceeds from our raffle to CODA, a domestic abuse treatment center." All guests will receive a free raffle ticket at the door to be entered to win prizes that range from board games to artwork. Additional raffle tickets can be purchased for 25 cents each. There will also be several vendors with open gaming stations, magic tournaments and free food and drinks. Every year for the past six years, ISU-Con has attracted more than 300 experienced gamers and rookies alike to participate in role-playing activities, tabletop games, cosplay contests, raffles and more.